All Field trips will begin and conclude at Newcastle City Hall unless otherwise noted. The Hunter Valley is the largest coal-producing region in NSW. It is rich in resources, hosting several large coal mines, an extensive transport network and one of the largest coal-exporting ports in the world. This field trip follows the journey of mined coal through the Hunter Valley. The day starts at an exploration drill rig where Permian black coal resources of the northern Sydney Basin are discovered and analysed to determine their mining potential. The trip continues to an open-cut coal mine operation, where mine design, mining techniques, coal processing and handling will be observed. Most coal is transported to a domestic or international market via a rail network. This network delivers the export product to large coal terminals at the port of Newcastle. The field trip continues on through the port’s coal terminals, where the trains are unloaded, coal is stockpiled and ships are loaded. A 6km sunrise walk along the Bathers Way from Nobby’s to Merewether to enjoy the spectacular coastline, examine the local geology of the Late Permian Newcastle Coal Measures, discuss the European settlement and development of Newcastle and spot some whales! A good level of fitness is required for this tour. This one-day trip provides an overview of the geology of the Newcastle area from Port Stephens to the north, the coalfields to the west, Lake Macquarie to the south and coastal sections along the Tasman Sea. The role of mapping by Edgeworth David and others leading to the rich mining culture in the region will also be discussed. 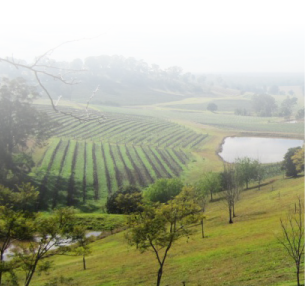 Quaternary geology of the Hunter Valley, including formation of the barrier systems of Stockton Bight and the impacts of past climate change in the area’s geomorphology.